Visual Studio Code>Snippets>NG.42 TS HelpersNew to Visual Studio Code? Get it now. 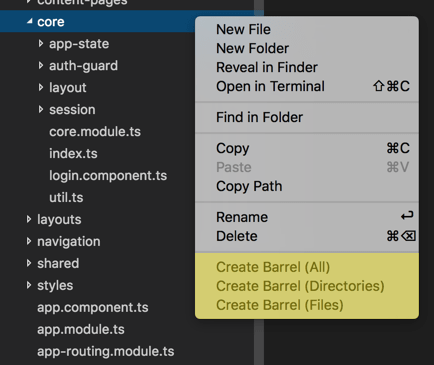 Adds snippets, create barrel commands, and scafolding for ngRx. Adds basic helper commands for working with Angular 2 and TypeScript. Any and all feed back is welcome. All TS files and directories in the current directory. All TS files in directory. All directories in the current directory. Some useful TypeScript snippets for angular 2.